4.2.1904: Launched by Cook, Welton & Gemmell, Beverley (Yd.No.42) for Thomas Baskcomb (64/64), Grimsby as CARIAMA. 15.3.1904: Registered at Grimsby (GY4). 15.3.1904: Thomas Baskcombe designated managing owner. 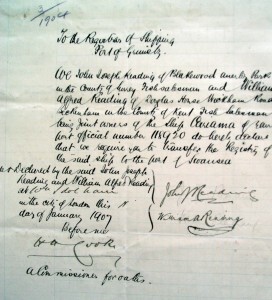 16.3.1904: Vessel mortgaged to George Jeffs, Grimsby for the sum of £2,500 with interest at 5% (A). 6.1904: On an Icelandic trip (Sk. Richard Baskcomb). 14.6.1904: Arrested by the local Sheriff (Sýslumaður) in Keflavik harbour for alleged illegal fishing (vessel first reported as CARRY ANNA). It was stated by Danish coastguard vessel HEKLA that the trawler had been operating some 2.5 miles inside the 3 mile limit for several days. Sk. Baskcombe fined £100, catch and gear confiscated. Escorted to Hafnarfjörður by HEKLA, request by Sheriff to place an armed guard onboard and/or disable the machinery refused by CO of HEKLA as he was sailing for Faroes. Ships papers taken ashore and four unarmed guards placed onboard. HMS BELLONA (Cdr. The Hon. Stanhope Hawke RN), on fishery protection duties, was in Reykjavik and became involved, the CO disputing the evidence, based on a long running belief that Icelandic witnesses were worthless. However, the deposition by the HEKLA officers could not be ignored. 18.6.1904: Sk. Baskcombe summoned to Reykjavik by CO of BELLONA. On the same day the mate went ashore, ostensibly to buy tobacco. After night-fall he returned in a small boat that he had stolen, had steam raised and the trawler cleared the harbour. The four unarmed guards were overpowered and once seaward, placed in the small boat and cast adrift. With the boat overloaded and only one oar they had difficulty in making the shore and raising the alarm. When informed the Sheriff went straight to Reykjavik, but Sk. Baskcomb had left the BELLONA the previous evening, embarked in another British trawler which had sailed immediately. As a result the CARIAMA and her skipper became wanted within Icelandic jurisdiction. The incident caused an uproar in Iceland, both directed at the Danes (the HEKLA) and the civil authorities. Policemen were few and unarmed and the demand was for skippers to be placed in jail until the fine was paid and for local police to have access to arms as British trawlermen had no respect for the law. 6.10.1905: Sold to John Joseph Reading, Anerly Park, Surrey, William Alfred Reading, Beckenham, Kent and Edward Dickinson, Swansea (64/64 joint owners). Edward Dickinson designated managing owner. 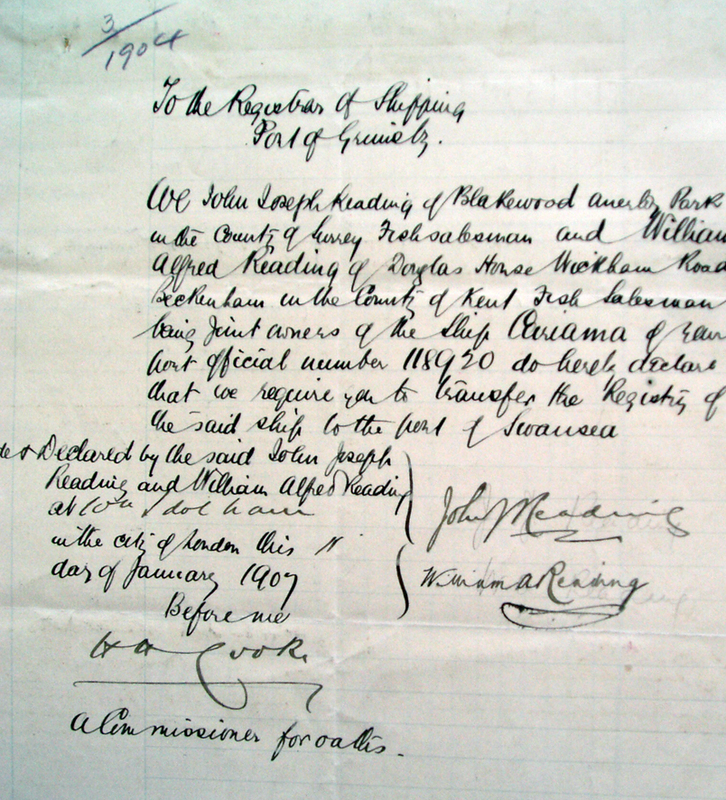 16.8.1906: Probate granted. John Joseph Reading, Anerly Park, Surrey, William Alfred Reading, Beckenham, Kent (64/64 joint owners). 16.1.1907: Registered at Swansea (SA41). 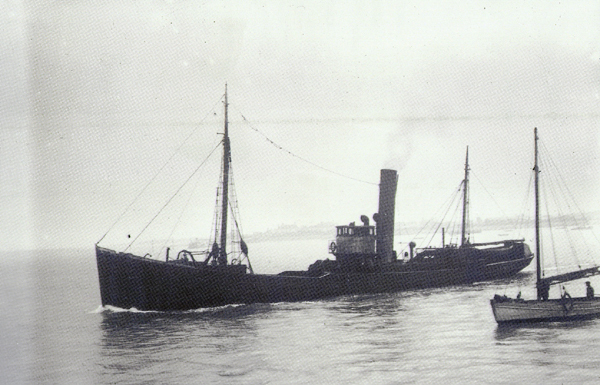 12.2.1908: Sold to The Hector Steam Trawling Co Ltd (64/64), Swansea. Alexander Keay designated manager. 1913: Fishing out of Fleetwood. 17.1.1914: Sold to John Joseph Reading, Anerly Park & William Alfred Reading, Beckenham (64/64 joint owners). 1.1.1915: Sold to The Mersey Steam Trawlers Co Ltd (64/64), London. Ernest Taylor, Thornton-le-Fylde designated manager. 4.1.1915: Vessel mortgaged (64/64) to The Manchester & Liverpool District Bank Ltd, Manchester (B). 9.2.1915: Registered at Fleetwood (FD107). 1915: Registered at Fleetwood as MEUSE (FD107). 1922: Joseph A. & Harold Taylor designated managers. 1924: W. J. Morley designated manager. 22.4.1925: Company in voluntary Liquidation. William Ignatius Swarbrick, Chartered Accountant, Preston appointed Liquidator. 7.7.1925: Sold by the Liquidator to Walter Henry Utley Morley, Fleetwood. Walter Morley, designated manager. 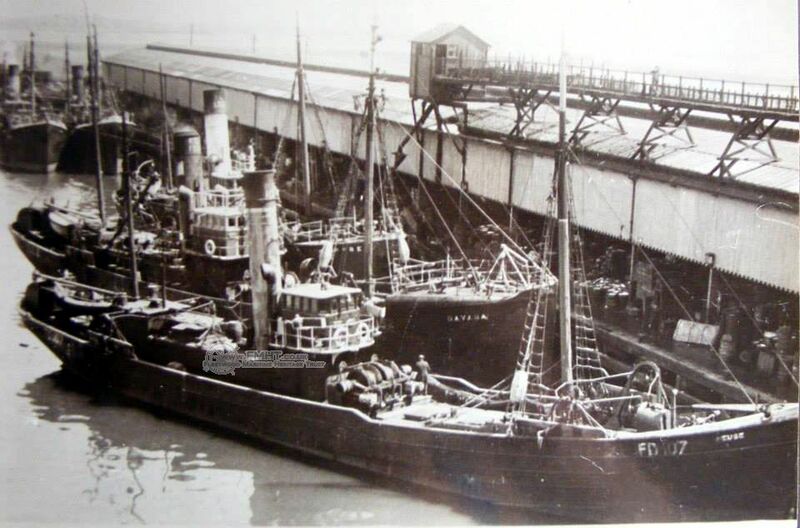 16.7.1925: The Mersey Steam Trawlers Ltd wound-up. 13.11.1929: Sold to Arthur Sharp, Fleetwood. Walter H. U. Morley designated manager. 25.7.1930: Sold to Oceanic Trading Corporation (Fleetwood) Ltd, Fleetwood. Walter H. U. Morley designated manager. 30.10.1934: Sold to Mrs Cicely Blanche Morley, Fleetwood. Walter H. U. Morley designated manager. 1935: Sold to The Hewett Fishing Co Ltd, London. Robert S. Hewett designated manager. 3.2.1937: Fleetwood registry closed, breaking up completed. 03/10/2918: Removed FMHT watermarks and updated the history. This entry was posted in Steam Trawlers, Steamers (Picture) and tagged Hewett Fishing Co, Morley & Co, Morley & Sharp, Oceanic Trading Corporation on January 21, 2009 by Fred Smith.